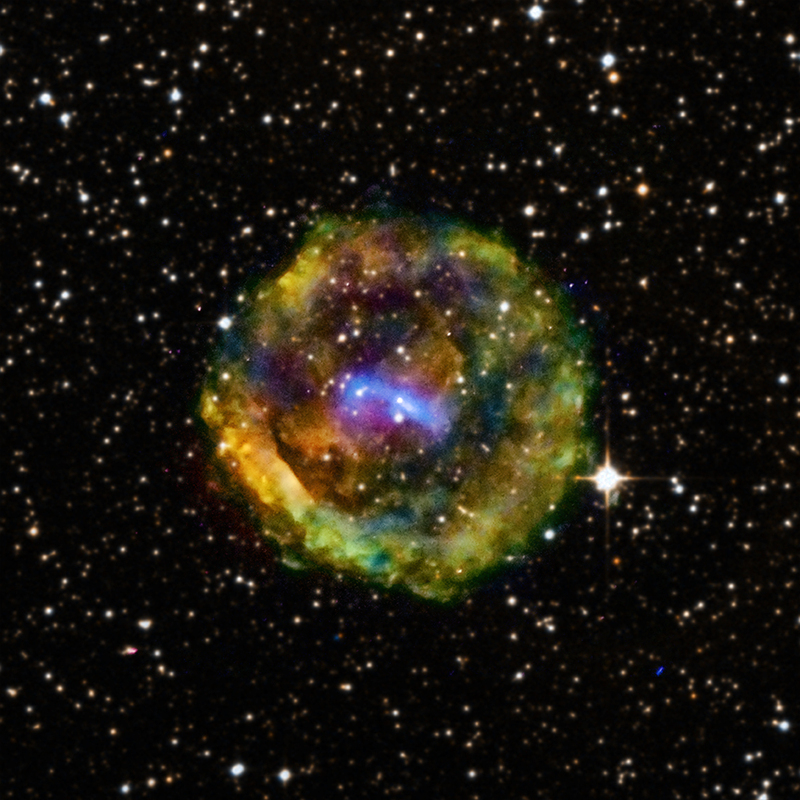 New Chandra data of the supernova remnant G11.2-0.3 raise new questions about the timing of its origin. Previously, G11.2-0.3 was associated with an event recorded by Chinese observers in 386 CE. Chandra observations show that dense gas clouds lie along the line of sight between Earth and G11.2-0.3. 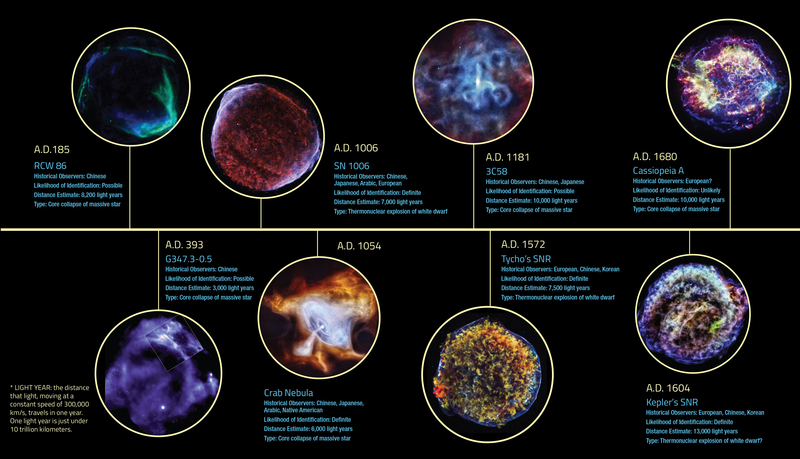 This new information means that the supernova explosion would have been too faint to be seen with the naked eye from Earth. Observation Time 111 hours 7 min (4 days 15 hours 7 min). This is what I saw in the Texas night sky via old popup theater binoculars, just months ago. I have been trying to find out what is was since. Thanks for the information. 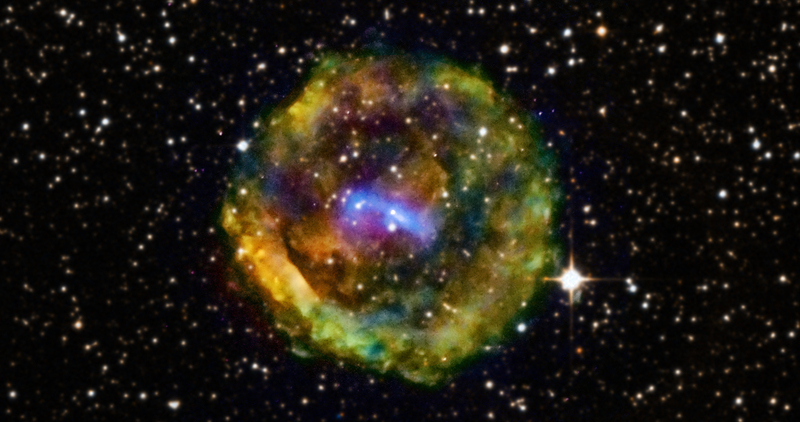 X-rays from the Chandra, optical data from DSS. About 43 light years across. X-rays are red, green and blue and optical are orange and cyan.